Sunday, December 02, 2018 by: Isabelle Z. (Natural News) Would you eat rubber cement, paint stripper or permanent spot remover? No one in their right mind would eat any of these things willingly, yet millions of us regularly eat a substance found in these products without realizing it – and we could pay the ultimate price for this mistake. The chemical in question is sodium benzoate, and it can be found in many packaged foods. It lengthens the shelf life of these foods, but it actually shortens the lives of people who consume it regularly. Sometimes you’ll see sodium benzoate on an ingredients list accompanied by a phrase like “to preserve freshness.” While it’s certainly good at staving off fungus, yeast, bacteria and mold in food, it’s also quite good at starving your cells of oxygen. As sodium benzoate deprives the cells in your body of oxygen, it compromises your immune system and potentially leads to blood cancer. It also leaches essential nutrients from your body, leading to neurodegenerative diseases like Parkinson’s and Alzheimer’s. Sodium benzoate has been banned in the rubber production industry because so many workers who were exposed to it developed leukemia. In food items, it reacts with other chemicals present to cause even bigger problems. For example, it can react with vitamin C and E to create benzene, a known carcinogen. It deprives cellular mitochondria of oxygen, and because the mitochondria are what power cells, the cells are then unable to fight infections and diseases like cancer. In addition, sodium benzoate damages DNA. Europe is looking to ban this chemical entirely, but it is still included regularly in processed food in the U.S. This is despite the fact that drinking water has a strict upper limit of 5 ppb of sodium benzoate. As hard as this may be to believe, food manufacturers are exempt from the regulation, which means that some sodas contain as much is 100 ppb of benzene. Studies have also linked sodium benzoate to hyperactivity. For example, a placebo-controlled, double-blinded study that was published in the Lancet showed that sodium benzoate in the diet caused an increase in hyperactivity among children aged 3 to 9. 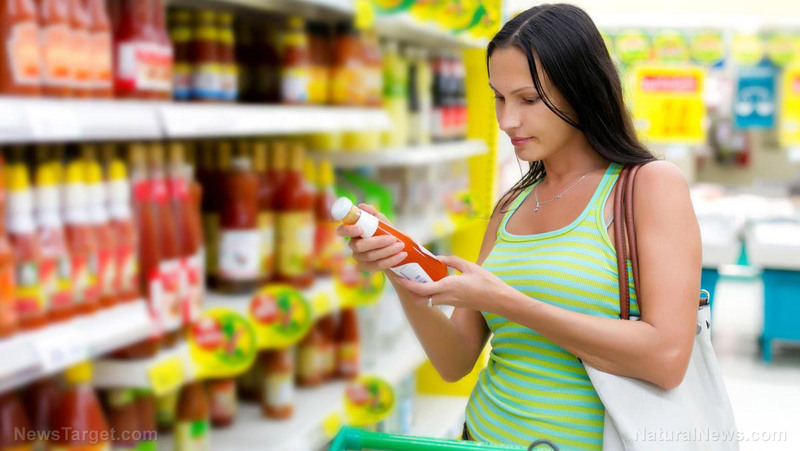 When shopping for food, be sure check the labels for sodium benzoate and stay as far away as you can from products that contain it. It is often found in acidic foods. The chemical can be found in vinegar, jam, salsas, dips, shredded cheese, salad dressings, fruit juice, soy sauce and soda. It can also be found in toothpaste, mouthwash, cosmetics and even cough syrup. By the way, sodium benzoate, which is synthesized in a lab, should not be confused with benzoic acid, which is naturally found in very low levels in many types of fruit. Of course, there’s an easy way you can avoid sodium benzoate, and that is by sticking to natural foods that have not been processed at all. Foods are meant to perish, and anything that artificially extends their life should be viewed with an abundance of skepticism. If you didn’t grow it yourself or have a good idea of who did and what happened to it before it got to your plate, you could be putting your health at risk. See more news coverage of food ingredients at Ingredients.news.